Also known as “The Immoral Strathspey” (unofficial). 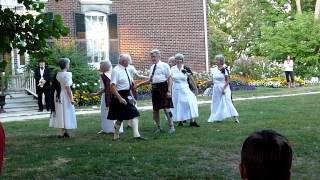 See also the dance 'Balmoral Castle'. Added on: July 14, 2016, 2:56 p.m.
Added on: May 22, 2015, 11:26 p.m.
Added on: Oct. 2, 2018, 12:07 a.m.
Chiswick ~ 170430 Social Dance (orig) 2017-04-30 James Wilson May 1, 2017, 7:42 p.m.
Delaware Valley RSCDS Hogmanay - 2003-2004 2003-12-31 Andy Peterson April 1, 2018, 11:11 p.m.
Nottingham RSCDS Social dance 17.03.18 2018-03-17 Elizabeth Gull Nov. 29, 2017, 3:58 p.m.
London Highland Club New Year dance 2019-01-05 Joan Blake Jan. 1, 2019, 3:06 p.m.
LHC X'mas Dance/Pont Street/ 2/12/17 2017-12-02 alan poh Dec. 2, 2017, 12:28 p.m.
RSCDS Dundee 2015 October 24 Stella Phillips July 18, 2015, 10:58 a.m.
Chiswick ~ 170430 Social Dance 2017-04-30 James Wilson May 1, 2017, 7:50 p.m.
Chiswick ~ 170312 Social Dance (orig) 2017-03-12 James Wilson March 13, 2017, 1:30 p.m.
Chiswick ~ 170312 Social Dance 2017-03-12 James Wilson March 13, 2017, 1:37 p.m.
Pont Street Band Night Monday 23rd May 2016 2016-05-21 alan poh May 21, 2016, 11:40 a.m.
RSCDS Ottawa Branch February 17 2017 Social 2017-02-17 John Bottriell Jan. 7, 2017, 5:26 p.m.
St John's 2012-11-24 Ruby Anniversary Ball 2012-11-24 David McQuillan Oct. 4, 2012, 1:02 a.m.
RSCDS Paris Branch - Bal du 4 mars 2017 2017-03-04 Rémi Lacroix Feb. 1, 2017, 7:21 p.m.
Surbiton 2017 April 6th - Jim 2017-04-06 Jenny Kendrick April 2, 2017, 9:22 p.m.
Knutsford Invitation Evening 2014 Andrew Locke March 31, 2014, 10:11 p.m.
Summer Tuesday 8th July David Talbot July 8, 2014, 1:29 p.m.
150806 w2 Thursday - Common Room - St A 2015-08-06 Martina Mueller-Franz May 18, 2015, 12:45 p.m.
St A SS 2019 w4 Thursday in town 2019-08-08 Diana Hastie Jan. 11, 2019, 11:22 p.m.
Dance for Mexico Homeless - Autumn 2015 2015-11-22 Jane Rose Nov. 12, 2015, 5:59 p.m.
Surbiton ~ 150604 Dance 2015-06-04 James Wilson June 8, 2015, 9:12 p.m.
Kingston 2018 Ball 2018-11-03 Alexander Jeffries Oct. 18, 2018, 4:15 a.m.
Atholl SCDC - Brian's Programme - 6 December 2016-12-06 Joy Scott Dec. 5, 2016, 5:22 p.m.
Surbiton 2017 September 28th 2017-09-28 Jenny Kendrick Sept. 23, 2017, 12:51 p.m.
Fleet 2018-04-21 Spring Apprentices Dance 2018-04-21 David McQuillan Feb. 3, 2018, 11:53 p.m.
London ~ 150908 Summer Tuesday 2015-09-08 James Wilson Sept. 4, 2015, 11:01 p.m.
Aston Clinton's Youth Charity Tea Dance 22 Nov 2015 2015-11-22 Jan Collings Nov. 11, 2015, 1:53 p.m.
Surbiton ~ 151126 St Andrew's Evening 2015-11-26 James Wilson Nov. 21, 2015, 3:32 p.m.
St Columba's Dancers 190304 Band Night 2019-03-04 Sarah B. Dec. 21, 2018, 9:33 p.m.
Kingston Ball 2018 2018-11-03 Alexander Jeffries Aug. 15, 2018, 4:21 p.m.
190808 w4 Thursday - Younger Hall 2019-08-08 Martina Mueller-Franz Jan. 21, 2019, 1:42 p.m.
Surbiton 2016 February 4th 2016-02-04 Jenny Kendrick Nov. 17, 2017, 1:24 a.m.
Chiswick ~ 170514 Social Dance 2017-05-14 James Wilson May 15, 2017, 10:38 a.m.
16-06-10 Luxembourg weekend Welcome Dance 2016-06-10 Truus de Ceuster Feb. 14, 2016, 1:26 p.m.
RSCDS Ottawa Branch March 18 2016 Social 2016-03-18 John Bottriell Feb. 17, 2016, 12:14 a.m.
London Highland Club 2016-03-05 Kevin Kearns March 3, 2016, 8:11 p.m.
St Columba's 23rd May 2016 Band night Sarah B. April 7, 2016, 8:32 p.m.
ZA 2016-04-21 Bergvliet Right Royal Evening 2016-04-21 Heather Hodgson April 15, 2016, 10:25 a.m.
RSCDS Wirral - Tuesday 12 April 2016 2016-04-12 Andrew Locke April 11, 2016, 12:27 a.m.
160809 w4 - St Andrews Br. 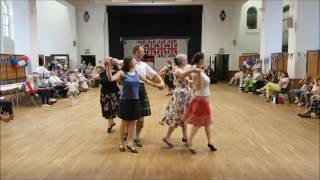 Summer Dance 2016-08-09 Martina Mueller-Franz April 21, 2016, 2:12 p.m.
RSCDS Wirral - Summer Dance 2016 2016-06-04 Andrew Locke May 3, 2016, 5:12 p.m.
RSCDS St Andrews 9thAug2016 2016-08-09 Sarah B. June 3, 2016, 3:21 p.m.
Surbiton Caledonian Society - programme for 3 Nov 2016-11-03 Nameless Dancer Oct. 29, 2016, 2:53 p.m.
Poynton Xmas Party 2016 2016-12-15 Andrew Locke Dec. 2, 2016, 3:51 p.m.
ZA 2016-04-14 Bergvliet Class 2016-04-21 Heather Hodgson April 15, 2016, 10:26 a.m.
Scotia Feb. 29th 2016 Sue Ronald Feb. 27, 2016, 2:45 a.m.
17-11-13 St Columba's Dancers Sarah B. Aug. 20, 2017, 2 p.m.
Surbiton 2016 January 28th 2016-01-28 Jenny Kendrick Nov. 17, 2017, 1:23 a.m.
RSCDS Ottawa Branch February 19 2016 Social 2016-02-19 John Bottriell Jan. 30, 2016, 4:03 p.m.
FSCDC 31 January 2012 2012-01-31 Anselm Lingnau Nov. 4, 2014, 2:01 p.m.
St.Columbas /Pont Street/Monday evening 13/11/2017 2017-11-13 alan poh Nov. 13, 2017, 4:07 p.m.
2019.05.10 Ottawa AGM dance 2019-05-10 Marion Hamilton April 16, 2019, 4:18 p.m.
150819 w4 Wednesday - St Andrews 2015-08-19 Martina Mueller-Franz May 18, 2015, 12:03 p.m.
Chiswick ~ 170917 Dance 2017-09-17 James Wilson Sept. 3, 2017, 5:12 p.m.
160706_Freiburg_Hausball 2016-07-06 Kirsten Steinbach June 14, 2016, 6:47 a.m.
150805 w2 Wednesday - St Andrews 2015-08-05 Martina Mueller-Franz May 18, 2015, 12:07 p.m.
Surbiton 2017 December 21st 2017-12-21 Jenny Kendrick Dec. 15, 2017, 10:24 p.m.
170917 Chiswick Social Dance 2017-09-17 Jerry Reinstein Sept. 11, 2017, 7:34 p.m.
Peter and Pat Clarke's Golden Wedding 2014-06-21 Irene Dracup March 31, 2015, 8:33 p.m.
Summer School 2015 Week 4 - Wednesday 2015-08-19 Andrew Locke July 19, 2015, 1:16 p.m.
FSCDC 21 April 2015 2015-04-21 Anselm Lingnau May 18, 2015, 10:48 a.m.
Bedford SDG 2019-02-10 Social 2019-02-10 Keith Rose Jan. 10, 2019, 4:43 p.m.
RSCDS Winter School 2015 – 26 Feb (Ball) Blair Atholl near Pitlochry 2015-02-26 Stuart Kreloff Feb. 15, 2015, 9:23 p.m.
RSCDS Birmingham - St Andrews Social 2015 2015-11-21 Nicola Scott Aug. 31, 2015, 1:30 p.m.
Summer Tuesdays 2016_08_16 2016-08-16 Graham Hamilton July 6, 2016, 12:39 p.m.
Van Isle Social Feb 10 Gordon Robinson Jan. 20, 2012, 2:06 p.m.
Summer Tuesdays 2016_07_19 2016-07-19 Graham Hamilton June 10, 2016, 1:58 p.m.
RSCDS Ottawa Branch May 10 2019 AGM & Social 2019-05-10 John Bottriell April 18, 2019, 10:25 p.m.
RSCDS Edinburgh Christmas Dance 2017 2017-12-09 RSCDS Edinburgh Aug. 9, 2017, 10:50 a.m.
RSCDS Leicester Class - 22 Feb 2018 2018-02-22 Margaret Spence Feb. 20, 2018, 6:44 p.m.
Surbiton 2016 March 17th - Spring Event 2016-03-17 Jenny Kendrick Nov. 17, 2017, 1:15 a.m.
Stoney Lake Friday Dance 2018-05-25 Alexander Jeffries March 7, 2018, 9:32 p.m.
2018 Summer School, Tuesday Social Dancing 2018-08-07 Nameless Dancer July 30, 2018, 8:39 p.m.
RSCDS Dundee 2015 June 15 Stella Phillips March 17, 2015, 4:53 p.m.
London ~ 150811 Summer Tuesday 2015-08-11 Jeremy Dent Aug. 5, 2015, 9:23 p.m.
New York Branch 2018-05-31 Chris Ronald May 29, 2018, 7:41 p.m.
GASP - December 14 2018 - John Bottriell 2018-12-14 John Bottriell Dec. 1, 2018, 12:54 a.m.
Chiswick ~ 160410 Green Dance 2016-04-10 James Wilson April 5, 2016, 1:15 p.m.
180809 w4 Thursday - St Andrews - Common Room 2018-08-09 Martina Mueller-Franz May 15, 2018, 11:05 a.m.
180726 w2 Thursday - St Andrews - Common Room 2018-07-26 Martina Mueller-Franz May 15, 2018, 11:02 a.m.
Surbiton 2016 September 1st 2016-09-01 Jenny Kendrick Nov. 17, 2017, 1:18 a.m.
Delaware Valley RSCDS Hogmanay - 2006-2007 2006-12-31 Andy Peterson March 30, 2018, 7:59 p.m.
Chiswick Scottish 170521 2017-05-21 Jerry Reinstein March 20, 2017, 11:04 a.m.
Delaware Valley Social 9/8/18 2018-09-08 Melissa Shaner Aug. 11, 2018, 3:05 a.m.
Chiswick ~ 170521 Club Night 2017-05-21 James Wilson May 12, 2017, 4:55 p.m.
Chiswick ~ 170514 Social Dance (orig) 2017-05-14 James Wilson May 15, 2017, 10:24 a.m.
180724 w2 Tuesday - St Andrews - Common Room 2018-07-24 Martina Mueller-Franz May 15, 2018, 11:01 a.m.
180807 w4 Tuesday - St Andrews - Common Room 2018-08-07 Martina Mueller-Franz May 15, 2018, 11:04 a.m.
Killara social 2019-03-23 Diana Hastie March 23, 2019, 12:28 a.m.
NYC Basic Class May 31 2018-05-31 Ken Saunders May 29, 2018, 8:50 p.m.
Chiswick - 4 November 2018 (orig) 2018-11-04 James Wilson Nov. 5, 2018, 7:25 p.m.
Queen's Birthday Weekend Ball Amy Martin May 30, 2012, 12:08 p.m.
RSCDS SF Valentines Ball 2019 2019-02-02 Rachel Pusey Dec. 22, 2018, 11:51 p.m.
RSCDS Birmingham - Core Dances - 2017/18 Nicola Scott Dec. 11, 2016, 10:29 a.m.
Queen&#39;s Birthday Weekend Ball Amy Martin May 30, 2012, 12:08 p.m.
Hamburg 2012 Social Sir Toby May 7, 2012, 1:09 p.m.
RSCDS Summer School 2018 Week 4 - Tuesday Programme 2018-08-07 Viktor Lehmann July 25, 2018, 9:54 p.m.
NZ SS Tue 2.1.18 President's Ball 2018-01-02 Diana Hastie Nov. 17, 2017, 5:59 a.m.
Hamburg 2012 Ball Sir Toby May 6, 2012, 9:23 p.m.
San Francisco RSCDS 2019 Valentie's Ball 2019-02-02 Andy Peterson Feb. 10, 2019, 12:15 a.m.
RSCDS Ottawa Branch Tea Dance - May 5 2018 2018-05-05 John Bottriell April 15, 2018, 9:35 p.m.
ball 2019 draft1 Geoffrey Wood Aug. 4, 2018, 5:53 p.m.
2018 Victoria day at BBS 2018-05-21 Nameless Dancer May 19, 2018, 3:13 a.m.
Bedford SDG 2013-09-29 2013-09-29 Keith Rose Aug. 22, 2013, 4:36 p.m.
140729 + 140812 w2+4 Tuesday 2014-07-29 Martina Mueller-Franz March 27, 2014, 5:32 p.m.
RSCDS Glasgow 23th May 2014 2014-05-23 Truus de Ceuster April 7, 2014, 1:57 p.m.
Sutton Coldfield 13 March 2015 Nicola Scott March 8, 2015, 11:28 p.m.
RSCDS Birmingham - Afternoon School Evening Dance 2016 2016-03-05 Nicola Scott Jan. 15, 2016, 11:12 a.m.
RSCDS Ottawa Branch March 17 2017 Social 2017-03-17 John Bottriell Feb. 20, 2017, 2:24 a.m.
NYC 2017-06-01 2017-06-01 Marc Hartstein May 29, 2017, 11:03 p.m.
RSCDS Richmond (N.Yorks) February social 2018 2018-02-02 Louise Macdougall Jan. 9, 2018, 7:33 p.m.
Ottawa Spring Fling Social 2018 2018-05-05 Jody Kulas April 19, 2018, 3:29 a.m.
Surbiton ~ 151015 Dance 2015-10-15 James Wilson Oct. 12, 2015, 2:23 p.m.
2017-11-14 Atholl SCDC Brian`s Programme 2017-11-14 Brian Martin Oct. 19, 2017, 10:32 a.m.
Valentine's Dance Brighton 2018 Sarah B. Dec. 26, 2017, 10:23 p.m.
Surbiton 2017 March 9th 2017-03-09 Jenny Kendrick March 3, 2017, 11:38 a.m.
RSCDS Birmingham - Nice N Easy Social 2017 2017-04-22 Nicola Scott Jan. 15, 2017, 11:22 a.m.
Bonn 2016-12-19_End of Season 2016-12-19 Eva-Maria Beckmann Dec. 18, 2016, 10:13 a.m.
Delaware Valley RSCDS Spring Ball Brunch Dance 2003 2003-03-09 Andy Peterson April 1, 2018, 5:15 p.m.
Ottawa 50th- Golden Anniversary Ball 2016-04-16 Marion Hamilton April 2, 2016, 5:37 p.m.
Surbiton Caledonia 2016-02-11 Stewart Murray Feb. 7, 2016, 11:35 a.m.
20190406 - Gay Gordons Tartan Day Dance 2019-04-06 Zsofia Jozsef April 2, 2019, 10:33 p.m.
RSCDS Cheshire Social - Weds 6 June 2018-06-06 Christine Grove May 9, 2018, 4:57 p.m.
20160130 - Paris intermediate workshop 2016-01-30 Aliénor Latour Dec. 10, 2015, 10:21 a.m.
18 02 17 RSCDS Brighton 2018-02-17 Chris Pratt Dec. 29, 2017, 10:37 a.m.
Bankfoot Xmas 2016 2016-12-05 Kate Kinnear Nov. 27, 2016, 5:15 p.m.
Lucy Clark SCDC Charity Dance 23 April 2016 2016-01-28 Jan Collings Jan. 29, 2016, 12:36 a.m.
Surbiton Caledonian 2 Nov 2017-11-02 Nameless Dancer Oct. 27, 2017, 11:37 p.m.
Surbiton 2018 October 4th - Welcome Evening 2018-10-04 Jenny Kendrick Sept. 28, 2018, 12:28 p.m.
19th Annual Delaware Valey RSCDS Delaware Ball 1998 1998-11-21 Andy Peterson Nov. 26, 2018, 12:33 a.m.
RSCDS Cheshire New Year Dance 2019-01-12 Christine Grove Sept. 27, 2018, 2:15 p.m.
RSCDS Birmingham - St Andrews Social 2018 2018-11-17 Nicola Scott Sept. 5, 2018, 4:10 p.m.
Bedford SDG 2012-09-23 Social 2012-09-23 Keith Rose Nov. 7, 2012, 11:29 p.m.
17-05-12 Kilmorack Spring Rally (Phipps Hall Beauly) 2017-05-12 Truus de Ceuster March 19, 2017, 2:14 a.m.
Reading 2017-11-12 Afternoon Tea Dance 2017-11-12 David McQuillan Sept. 18, 2017, 7:52 p.m.
Forres Sumer Social 2016-08-08 Regina Freinbichler July 29, 2016, 10:32 a.m.
Coaltown of Balgonie SCD 2017-03-17 Bill O'Donnell March 16, 2017, 10:58 a.m.
170810 w4 Thursday – St A. – Younger Hall 2017-08-10 Martina Mueller-Franz May 12, 2017, 12:08 p.m.
Trinity 9 Feb 2019 - Marian Anderson 2019-02-09 Bill Austin Feb. 3, 2019, 8:49 a.m.
Kingston May AGM Social 2018 2018-05-05 Alexander Jeffries April 9, 2018, 5:20 p.m.
Atholl SCDC Week 11 Brian`s Programme 27/11/18 Website:- www.athollscdc.co.uk/ 2018-11-27 Brian Martin Oct. 30, 2018, 8:15 a.m.
Surbiton ~ 150515 Ceilidh 2015-05-15 James Wilson May 2, 2015, 12:40 p.m.
RSCDS Summer School 2017 Week 4 - Thursday Programme 2017-08-10 Andrew Locke July 21, 2017, 12:05 a.m.
RSCDS Falkirk 2016 Clackmannanshire Joint Dance 2016-05-27 Craig Skinner March 11, 2016, 4:40 p.m.
SURBITON 2016-17 - CORE DANCES Jenny Kendrick Nov. 17, 2017, 7:59 p.m.
Edinburgh Annual Ball 2016-05-14 Adrian Dickin April 3, 2016, 10:27 p.m.
Camberley 2017-9-5 2017-09-05 David Talbot Aug. 30, 2017, 11:28 p.m.
RSCDS Birmingham - Nice N Easy Social 2018 2018-04-28 Nicola Scott Feb. 28, 2018, 10:04 a.m.
RSCDS Birmingham New Year Social 2015 Nicola Scott Aug. 30, 2014, 8:45 p.m.
RSCDS Edinburgh Old Favourites Dance 2018 2018-04-28 RSCDS Edinburgh March 3, 2018, 4:21 p.m.
RSCDS AGM 2013 Dance (Friday) Anselm Lingnau Oct. 16, 2013, 2:27 a.m.
Leeds Branch Dance - 19 Oct 21 2013 Christine Parker-Jones Sept. 10, 2013, 12:20 p.m.
RSCDS Birmingham Spring Dance 2019 2019-03-23 Nicola Scott Jan. 13, 2019, 5:46 p.m.
SEHSCDS Core Dance List Strathspeys 2016-10-24 Dance ForFun Oct. 24, 2016, 5:16 p.m. Dances suggested for the 2016-17 list Sue Ronald Jan. 30, 2016, 8:32 p.m.
Summer school 2013 weeks 3 and 4 Truus de Ceuster Aug. 7, 2013, 9:44 a.m.